A complete blood and urine checking for functions of various body system including full blood picture, ESR, Liver function, Kidney function, Lipids studies, diabetes & blood glucose level, mineral bones & joints thyroid function, iron status, Hepatitis A & B screening, Rheumatoid Factor, U.R.C. It reveals our internal status & disease, which atre not easily detected by ordinary physical examination. CRP is short for "C-reactive protein," a protein found in the blood. It is what we call a marker for inflammation, meaning its presence indicates a heightened state of inflammation in the body. Inflammation is a normal response to many physical states including fever, injury and infection. Inflammation is now believed to play a role in the initiation and progression of cardiovascular disease. High- sensitive CRO is a stronger independent risk marker for cardiovascular disease & stroke. Hearth disease and stroke is the number one killer in the world accounting for over 17 million deaths every year (World Health Organization). Cancer affects about 35% of Malaysian population. Most of the cancer incidents are detected late due to its slow progression and patient's inability to recognize the signs or symptoms. In Well Again we have an associated Lab that would be able to detect cancer at the early stage. These cancers marker's can be done from a simple blood drawing and test. 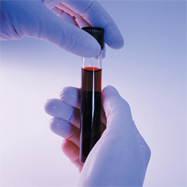 urine test checks different components of urine, a waste product made by the kidneys. A regular urine test may be done to help find the cause of symptoms. The test can give information about your health and problems you may have. The kidneys take out waste material, minerals, fluids, and other substances from the blood to be passed in the urine. Urine has hundreds of different body wastes. What you eat, drink, how much you exercise, and how well your kidneys work can affect what is in your urine.